Very well equiped, you find so many useful things in the apartment. I really felt like it was our home away from home. 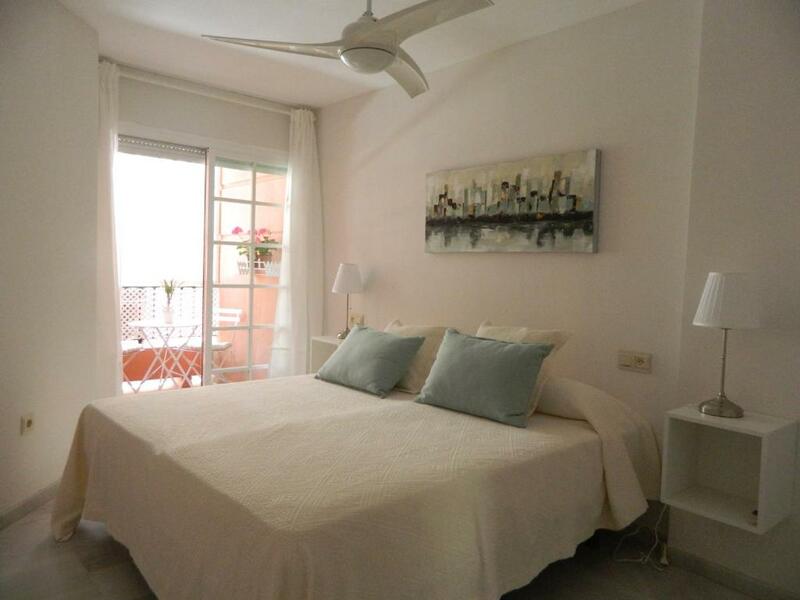 Very well located: so close to the beach and from the city center. The host speaks good english and he was very welcoming and responsive to our requests. Totally recommend it. 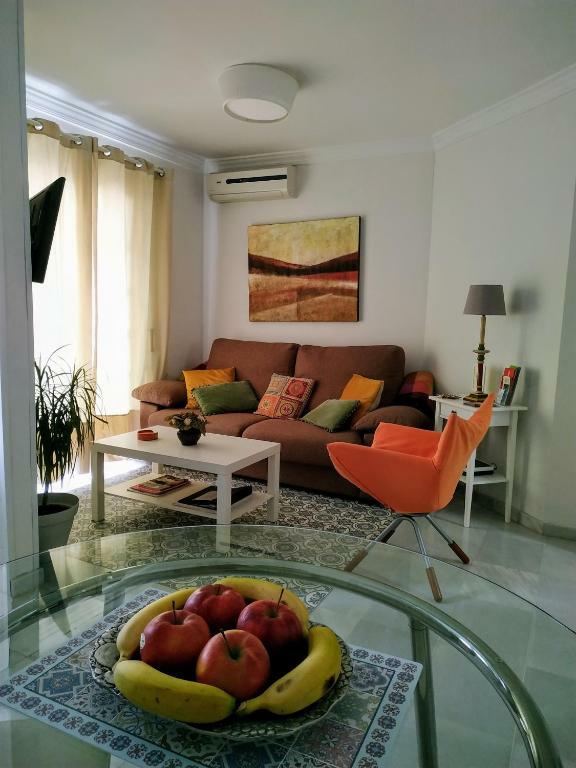 Juan is a wonderful host, the flat is exceptionally well placed, clean and has everything you can possibly want. 2 min walk to beach. 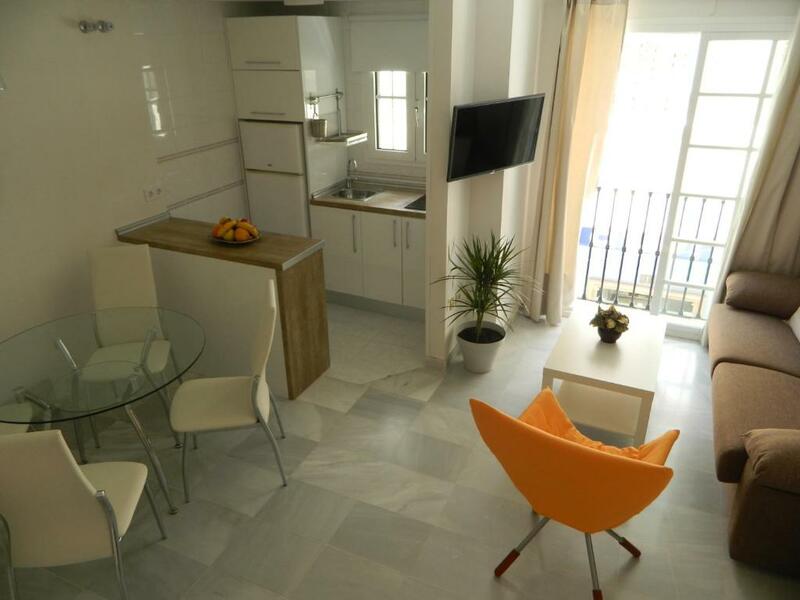 10 min walk to centre of Malaga. Great little flat, equipped with everything you might need for a comfortable stay (kettle, toaster, coffee maker, pots/pans/cutlery etc etc). Was spotlessly clean, with a comfortable bed. Very close to the beach and town, which was excellent! Malaga is a beautifull city! Excellent location, everything is in the apartments, clean, comfortable, special thanks for the beach accessories! The owner is very kind and helped in everything! Thank you very much! Good location near the beach and restaurants. A short walk to the port and city center. Juan is a great host. The place was spotlessly clean. Juan our host was excellent. Lovely little apartment but smaller than we expected despite dimensions on the website. Very clean, good location, very good service, a lot of handy appliances, very friendly host, etc. Spotless clean 1 furnished spacious, and bright bedroom with all facilities (including first aid kit, water and a tray of fresh juicy fruits). The flat is within a well maintained secured building located in one of the best district of Malaga. You can see the sea from the balcony! Walking distance to the beach, town centre, and to the best touristic highlights of Malaga: the medieval Moorish Alkacaba, Roman theatre, Gibralfaro and its panoramic view, the lively marina with its luxurious yachts, restaurants and shops etc. About 5 to 10 minutes walk to the bus station to catch the direct bus to the airport for only 3 euros single ticket. I would like to thank personally Juan the owner of the flat for his warm welcoming and being available if needed. He speaks perfect English. Big thank you and I wish you all the best. I definitely come back! The owner was very kind and helpful. In the apartment you have many useful things for cooking and eating: olive oil, vinegar, fresh fruits, bottle of water, coffee etc. Lock in a great price for Apartamento Miramar – rated 9.4 by recent guests! One of our best sellers in Málaga! 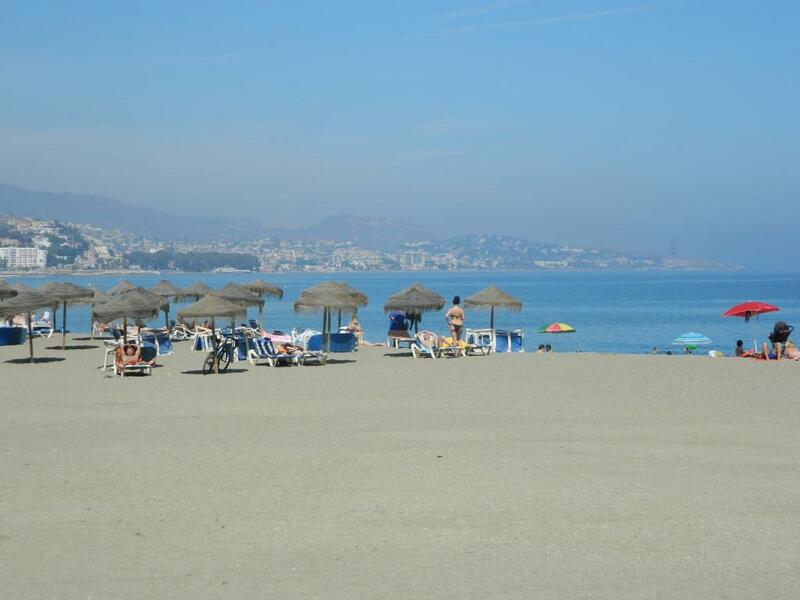 Located 350 feet from Malagueta Beach, Apartamento Miramar offers accommodations with side sea views in Málaga. The apartment features a small terrace and high speed WiFi. The kitchen features a living room with a flat-screen TV. The bedroom has 2 single beds and there is a bathroom. 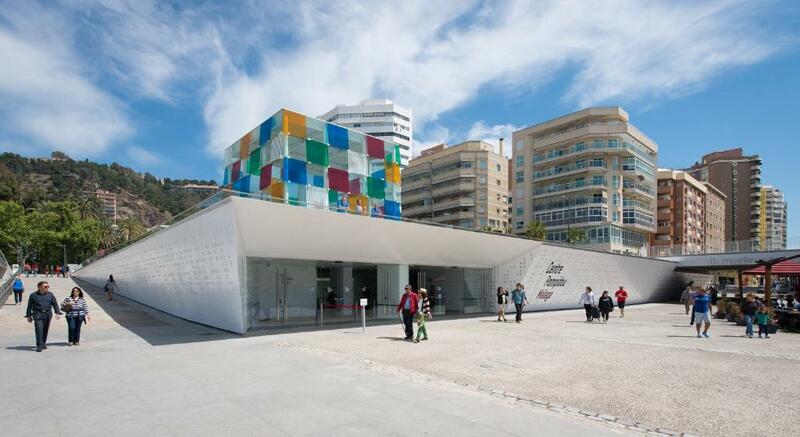 Pablo Ruiz Picasso Foundation is 2,950 feet from Apartamento Miramar, while Picasso Museum is 2,950 feet from the property. 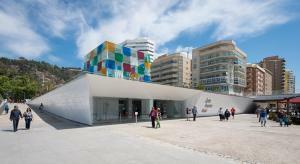 Muelle Uno and the Bull Ring are a 5-minute walk. 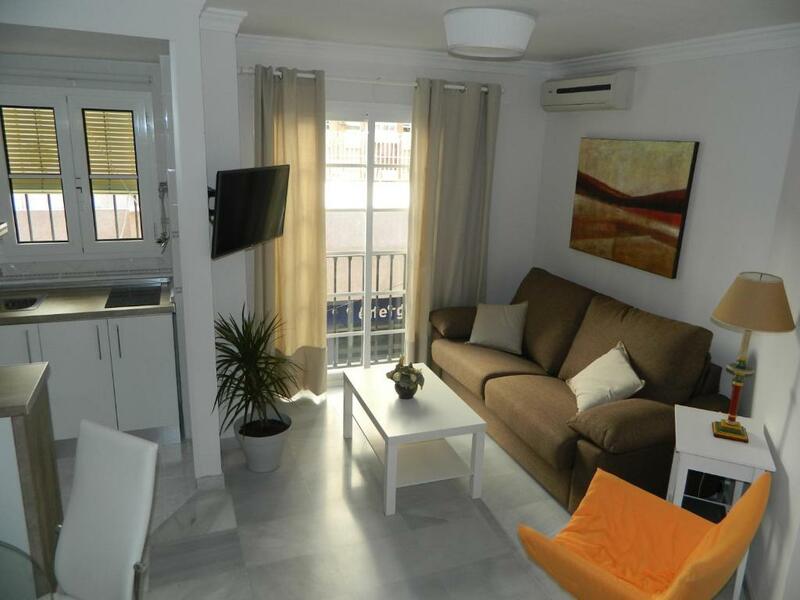 The nearest airport is Malaga Airport, 5.6 mi from Apartamento Miramar. When would you like to stay at Apartamento Miramar? This apartment has a microwave, tile/marble floor and dishwasher. Great newly renovated apartment just 30 meters from the Malagueta´s beach, with side sea views. Beside the port “Muelle uno”, the bullring and 5 minutes on foot from the city center and all monuments and museums. It has a living room with fully equipped american kitchen, bedroom with two beds of 90 cm, a full bathroom and a small terrace to enjoy the nice weather. We also have a high speed internet/wifi with 30 gb of optical fiber. I will give you all the information you need when you arrive to the apartment, or if you need to know whatever before, just need to write me a message and i will inform you about all you need. I will be glad to help or assist you in all you need. The perfect location if you want to visit the city center and all his museums and monuments or if you want to enjoy the beach. The apartment is in one of the most valued areas of malaga. Area Info – This neighborhood is a great choice for travelers interested in tapas, restaurants and old-town exploration – Check location Excellent location – show map Guests loved walking around the neighborhood! House Rules Apartamento Miramar takes special requests – add in the next step! Please inform Apartamento Miramar of your expected arrival time in advance. You can use the Special Requests box when booking, or contact the property directly using the contact details in your confirmation. The towels, could be of a better quality. Twin beds and we wanted a king size. Can get a bit noisy at times but walk around the city and you will come back tired enough to not care about. Nothing major so go for it. The flat is on a narrow street, on the 1st floor above a restaurant, which is open until 2am over the weekend. Then they pack up the chairs and tables with a lot of noise. Then the garbage collection arrives at 4am. Did not sleep properly for those few nights. If it is hot, you can choose to close the windows and run the also quite noisy air conditioning and fan or keep the window open and listen to the noise all night. The towels seem to be old and not good at drying at all. The balcony was tiny and on a small, narrow side street so any noise was amplified. Also no view. The instructions in manual for microwave & washing machine would have been helpful in English. Sound proofing windows would help as could be noises at night workmen seemed to meet close to apartment in early hours. 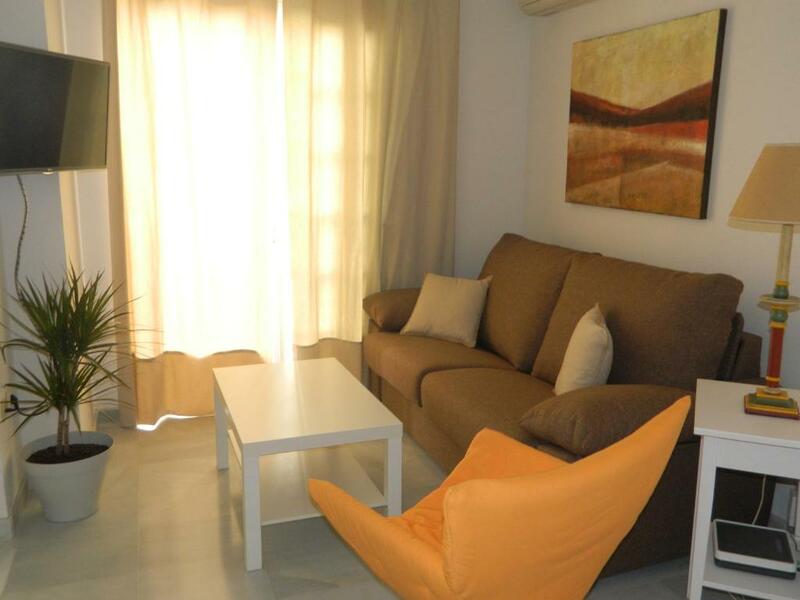 The location is excellent, it is indeed 3 minutes walk to the beach and 15 minutes walk to the centre of Malaga. The area itself is the best (I think) in the whole town. The port is 4 minutes walk and you can find there lots of restaurants, cafes, park, the Ferris wheel Princess Mirador, etc. The flat is clean, comfortable, has all essentials you would need for your stay. The building in which the flat is located is also very clean and nice. The area is generally clean, the streets are washed with water and detergent. The people are friendly and nice. Would not recommend the appartment for 4 adult people. Kind flexible hospitable host, who was easy to reach; beautiful appartment, would go again to the same place, relatively big flat for 2 people, everything you need for the kitchen, comfortable big beds (2 m), aircon and ventilator, very clean, nice entry hall, great, lively neighbourhood but no nuisance of noise; beach at a walkable distance.